At eSolutions we understand small business! As a small business ourselves we understand that any kind of investment needs to be planned and well spent. For 20 years now eSolutions has been developing websites for primarily small businesses with many success stories from our website developments. These include an air conditioning online company from start up to multi-million dollar sales each year, a parts online store from start up to within 12 months turning over in excess of $150K plus many more. As a small business owner time becomes a big factor when juggling multiple projects, hence considering a fully managed solution enables you to have a team working on your online business in the background whilst you concentrate on the big picture. Our experience tells us to get the website to market as soon as possible to enable the search engines to start to index the website. No need to wait for everything to be perfect as things happen so fast online that what was perfect today can change within a month. Websites evolve, like businesses do, so being flexible and letting the website grow enhances the ability for success. Keep costs low to start off with but look professional. Consider that development of the website will take 2-3 days of hard work, that amount should be budgeted upon. This will enable the design to be implemented on a tier 1 web host for performance, website design template added and customised, content and contact forms added, site optimisation and indexing for the search engines and additional security plugins and speed optimisation of the website. Next always think of articles to write about your website… content is king with Google so an evolving website will get rewarded. Oh and anyone that says that they will get your site on page 1 of the Google index in a day without paying for Google Ads… well they are just being dishonest. For ways to get your small business website online, talk to us today. There are many ways that you can go about this and many different budgets involved. Find a domain name – lots of cheap places or do a deal with a developer, they are cheap and most will throw it in for free if you host with them for 12 months. Merchant facility – start with PayPal or Stripe and then move to a bank merchant facility i.e. do it as cheap as possible to start with. For me PayPal and Stripe work, even though the transaction fee is slightly higher per order, there are no monthly merchant costs. Have a look around at the competitors and then find websites that you like the look and feel of. With billions of websites today there is no need for something new but rather doing things better. Once you are armed with these, next I’d be asking, I have my content, now what am I going to build my website on? Do I want to be able to own the code to my website and move to a web host whenever I wanted if my relationship with my developer turns sour or am I comfortable using a hosted platform knowing that if I expand more than likely I’ll need to start the development from scratch again. Do I want an upgrade path? If the answer is yes, WordPress / WooCommerce is the solution for you and when that is exhausted, Magento is the way to go. If you need to go to Magento your turnover is sufficient to warrant the cost of the Rolls Royce in development platforms. Do your research on this as the likes of Shopify and other hosted platforms seem cheap to start with but in the end, having your own website does work out cheaper. The same holds true for customised Content Management Systems from developers. They can never keep up with the features of other platforms due to high development costs and will very likely disappear. There are platforms like Quick eCommerce that uses WordPress / WooCommerce and shows low cost ways to get eCommerce websites online. All developers offer web hosting. Don’t skimp on this as a site that loads quickly is worth dollars in the till to you. Social media – blast the site on social media everywhere that you can. The more eyeballs the more chance you have of selling your products. Getting pedantic that an image doesn’t look right. In most cases, you will be the only one that sees it and if it slows down the launch, it is going to hurt the business more. Do these things on the fly and keep the site evolving. Search engines like sites that constantly get updated. If you have everything ready, a 4 week development time is realistic. If you are starting out, in our opinion, build with WordPress / WooCommerce. Over 30% of global websites are built on this platform. There are developers everywhere and the site easily supported, updated and best of all it is ever expanding with many free options to enhance your new website. This is an interesting question that we face each day and the way that we look at it is that it is like a piece of art work, some are going to love it and others not so fussed. With this in mind, we are taking strategies of making the website framework disappear and leave the products to be the feature. Come the end of the day, we are not selling a good looking website, all be it does add credibility but rather the highlight should be on the product and to make this easily purchasable. With design, there are really only 2 options with the navigation menu, across the top which is our preferred option or on the left hand side. Why across the top? This enables more selling space for your products. Having the navigation bar on the left reduces the selling space by 20%. Although sometimes unavoidable wherever possible use a mega menu along the top of the website. Keep to a standard format. Users tend to be lazy and need everything presented in front of them so they don’t need to go looking. Simple is clever in many ways. Lastly, good images sell! There are lot’s of royalty free image banks like Shutterstock, spend a few dollars on quality images and it will transform the look of your website. Lastly, recently we worked on a project that is a very successful online business. They looked at the merchant fees that they were paying a decided to implement a merchant fee on the checkout to cover the costs. Sales plummeted! Even though the cost was less than $20 per order this was enough for customers to say, thanks but no thanks. In our opinion, reduce the reasons on why not to purchase and focus on how can I make the customer checkout quicker. Many of our clients often ask us how they can obtain their Paypal API Credentials from their account. This is a quick step by step tutorial to enable and obtain the API Credentials. Firstly, log into your Paypal account. Only Paypal business account have access to the API access. So upgrade your account to a business account if you have no already done so. Next click Profile, then Profile and settings in the top right corner. On the setting page, click “Selling Tools”. Click on the “Update” link for “API Access”. In the Pre-built payment solution option, click “Add or edit API permissions”. Select Option 2 “Request API credentials”. On this page, the fields “API Username”, “API Password”, and “Signature” will have a link “Show” next to them, click on them to view them. Social media are internet services that let you interact with others and share and create content through online communities. easy – you don’t need high-level skills or computer equipment to participate in social media. The average person with a standard computer should have no difficulty. First thing you need to do is to log into your WordPress, go to Plugins -> Add New. In there search for the plugin “Digital Media Combined.” Once you have found it install and activate it. Once you have installed the plugin, you will need to add your social media profiles to it. In this example, I will go through the process of adding a Facebook Page so that you can post to it using this plugin. The process is the similar for other social media providers. On the left hand side, you should see a new menu “DMC”. Click on it and then go to “Social Media Profiles” as shown in the image below. You can see there are different social media profiles that you can add. 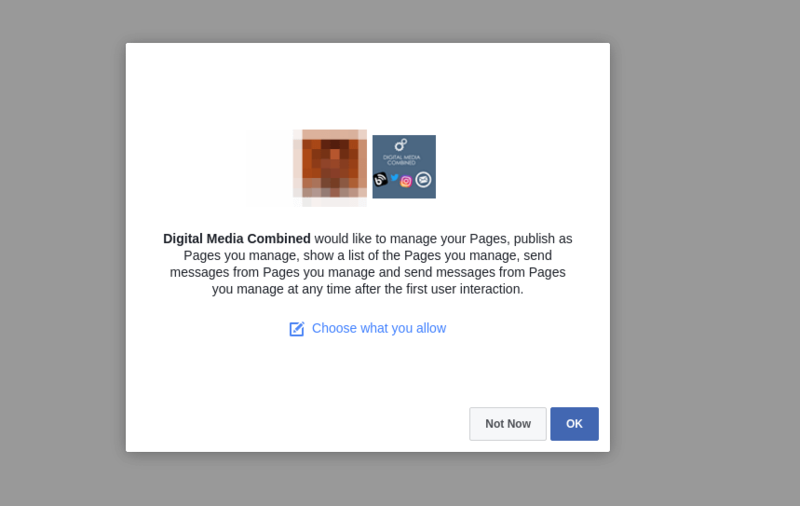 Before you can authorise DMC to manage your Facebook Page, make sure you are logged into the Facebook accoutn which has admin permission to manage the Facebook Page. Now let’s click on the “Add a Facebook Profile” button. 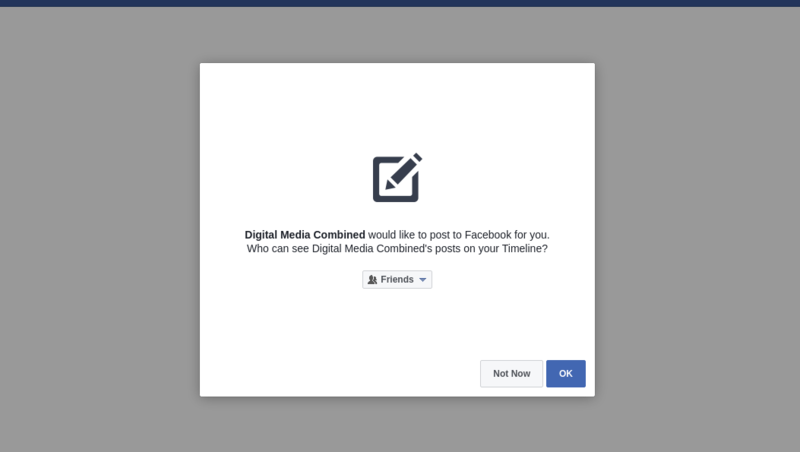 This will redirect you to Facbook to get authorisation for DMC to manage your Facebook Page. Click “OK” for both of these permission. 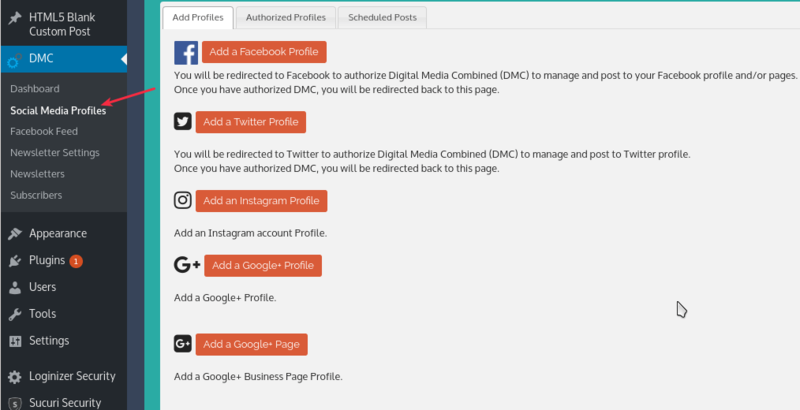 Once you have approved DMC to manage your Facebook Pages for you, you will be redirected back to your plugin page to select which profile you want it to manage. These are all profiles your Facebook account have permission to manage. In most cases you will only have your standard Facebook profile, and a Page profile. Select the ones you want the plugin to manage/post and click “Save Profiles”. After adding the profiles go to DMC -> Dashboard. In the dashboard, you can start posting to the social media profiles. You can select to make the posts immediately, or schedule to have them posted at a later time. We will continue with some advance features of this plugin on another blog post. Please install this plugin and test it yourself as it will definitely help with your social media marketing strategy. Last week, one of our client’s website which is running on Magento became noticeably slow. Using Chrome developer’s tool it shows the page load took 14+ seconds and even longer. So we started to investigate the issue and we were a little surprised to find out the cause of the slowness. Luckily we run all our own servers so it didn’t take long to track the problem down. First thing we checked was the server it was hosted on, to see if it was a resource issue. The server load was average and MySQL didn’t seem to have any problems. Also no resources were limited on that domain so we concluded that it wasn’t a resource problem on the account or globally on the server. Next we had a discussion between our developers and confirmed there were programming done on the website. This means this must be caused by the Magento core or some plugins this website is using. 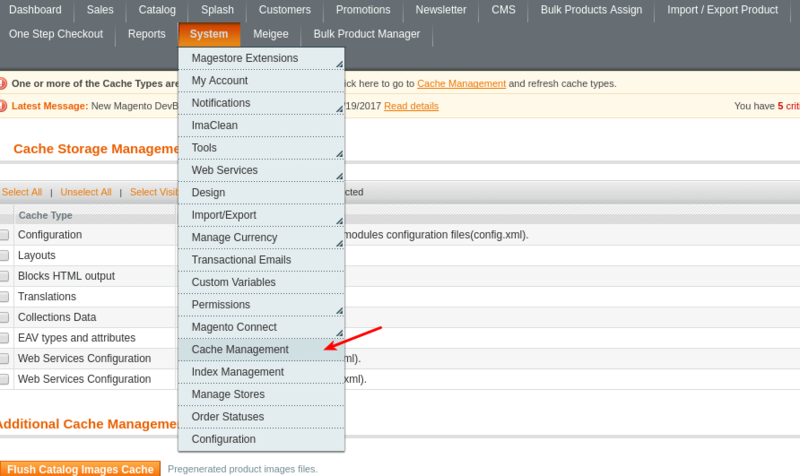 At this stage, we suspected maybe the caching was turned off, so we went into cache management to check. Caching was on but we discovered that there was an invalided cache. So we selected the invalided cache and refreshed it. After this we tested the website again. To our surprise, this resolved the websites’s slow loading issue. Now we need to find a way to detect this and fix it automatically. Next we added a cron in cpanel to run this every hour. Now the system will check for invalided cache and refresh it every hour. We can set this to a smaller interval if we want, but hourly check should be sufficient. Hope this may help someone out with a similar problem. We have been working on a client’s WooCommerce store and for some unknown reasons the Product Search wasn’t working correctly. I have spent multiple days debugging this problem and will post the steps I have made to finally track down this problem and fix it. Our client’s website has the plugin “Advanced Woo Search” installed, which is working correctly. However, in the search box, if a user clicks Enter, it will go to the default search page and most of the time there will be no results, even though the Advanced Woo Search displays some products. We have tested many different query string and most of the expected results are not showing. Below are the steps we have taken to debug this issue and find the reason why the correct results weren’t being returned. The first thing we checked is to see if this is a plugin conflict. We have found two plugins which could possibly cause a problem with the standard search. These are “Advanced Woo Search” and “WP Super Cache”. So we deactivated these plugins and tested the search again. The problem persisted. Next we checked the Catalogue visibility of the products to make sure Catalogue/Search is selected. Catalogue/Search were selected for all our products, and searching for a string from the product title return an empty result. After step 2, we realised we had to get our hands dirty and do some serious debugging. To do this, we install the plugin “Debug Bar”, which will display a debug menu to the admin menu. This will provide us useful information to help track down the culprit. After installing the plugin, the following line was added to wp-config.php. Next we do the search again, then we click on the “Debug” button in the admin bar. Then we check out WP Query tab on the left hand side. We tested the above query in phpMyAdmin and 0 results were returned.After analysing the query, we removed the line “AND ( wp_term_relationships.term_taxonomy_id IN (102,193)) ” and tested it in phpMyAdmin and sure enough the search returned some products. Now we have to figure out which plugin/template added that in the search query. We suspected that it may be our theme that may be causing this, so we have changed the theme and see if it returns any results. And yes it did, so this confirmed our suspicion. The above code will display an array which is used by WordPress to construct the search query. We have discovered that ‘tax_query’ limited the product search to search for products in two categories only. So we search the the string ‘tax_query’ from all files in the theme folder, and have discovered these codes were added from some theme options. Knowing that it was some theme option which caused this, we went into WordPress administration and went to the theme options. This will be different depending on the theme used. For this website, it was in Appearance -> WooCommerce. We found an option where users can limit the products display on /shop by categories. Someone who worked on this website has limited it to two categories. It would appear due to this feature the theme has created a bug where by limiting products shown on /shop, it also put the same limit on the search query. We have decided to remove the category limit from /shop from this theme and it fixed the problem. However, we have another option to create a custom function to remove the filter on the search page. As you can see, WordPress is powerful and has lots of themes and plugins. However, when something doesn’t work as expected, this can actually make it harder to trace the problem to the codes which caused the problem. In this example the problem was a but in the theme which only happens when a certain theme option has been used causing unexpected search results. Hopefully this post will help someone who needs to find a bug on their website. Do I have good experience with websites and an understanding of website coding with html, css etc? Do you have time to dedicate to your online business to make it successful without detracting from other business activities? Do I understand the ways that the search engines work and the basic principles to good SEO and promotions within the major search engines? If you can answer yes to all three of these questions it is not going to matter what your website is built on, you will be able to make it work. But, some in our opinion are better than others. eSolutions have viewed many of the leading platform in the industry along with building our own customised ecommerce solution for many customers. 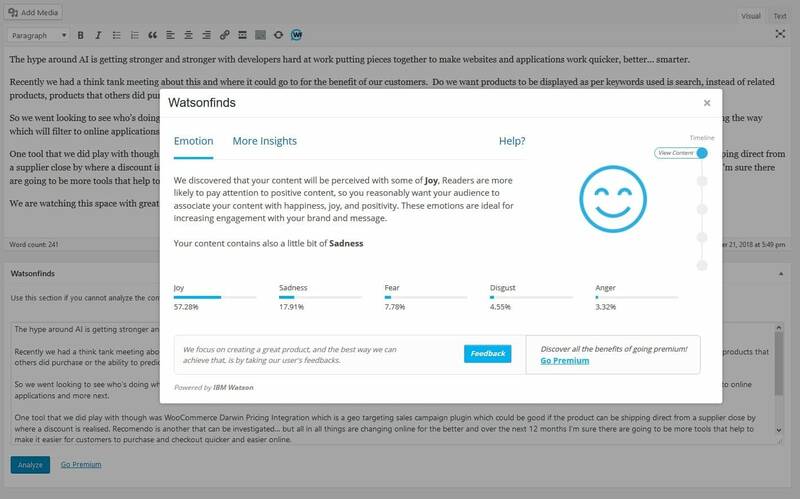 Each platform has features to entice with unique strengths and weaknesses, but for us if you are looking for a platform that can do it all with little training, it is SEO friendly, there is global developer support, you are not tied to any one host or company and can always expand your online presence to larger more powerful platforms, WordPress with WooCommerce is the answer. From our experience, Magento is a high end solution that requires powerful web servers and web server management to enable a site load speed that passes the Google speed test. Development costs with Magento are 3-5x what you would expect to pay for a WordPress solution. The platform is more robust but for us the management of this platform and costs associated are hard to justify unless you are selling more than 1000 – 2000 products / day. Where are customised solutions, although you have the flexibility of getting the product that you are after from the outset, you will always be dipping in to your pocket for additional modifications. If the sales are there no problems but it is really hard to tell what customers are after when launching a new website, which leads to a side point… when should I launch my website? Short answer, as soon as possible! Get it to market and customers will tell you what they like and don’t as long as the checkout process is secure and functional and good old customer service is in place. Customised solutions do have there place, but long term you should consider having something that is open source that can be upgraded without needing to totally redevelop your website when it gets a little tired. Hosted platforms have there benefits but same thing here, if you are looking to take your website to the next level, you are building the site from scratch again. This is only brief and our view but for the cost of building a WordPress website with all of the bells and whistles it will pay you back in droves when compared to other solutions on the market today, 26% and increasing of all websites built today on the Internet are built with WordPress, it must be doing something right.